There are many different ideas and views on successful financial management. To some it might mean paying off all debts, while for others it may be living a comfortable life within their means. As My Money Coach states, if you don't have enough money to do everything you would like to do, then you need to focus your money on the things that are most important to you, and make your money work for you. Although managing finances properly is a necessity to making your money work for you, it’s not always easy. Check out these tips below to help you get control of your personal finance. Starting with a plan is always a good idea, as it will help you achieve your target and keep you motivated to follow it. According to Money Management International, setting tangible and realistic goals, following them, and tracking your progress is the key to successfully achieving your financial goals. It’s always a good idea to bear in mind and plan for any possible future emergencies as well. Here’s the hard part. Many of us spend our money without ever noting down the purchases we’ve made, and it is very easy to lose track of how much is being spent. From a simple cup of coffee to a new pair of pants, try to write down all of your expenditures for a whole month. Using the information you’ve gathered from tracking your expenditure, prepare a realistic budget. A budget is basically a plan outlining your incoming and outgoing money. In your budget, all expenditures should be divided into categories and you can note down the amount you plan to spend on any particular one, such as groceries, utility bills, and clothing. Try to allocate at least 10% of your total earnings as savings if possible. There are many types of investments you can make, ranging from zero to high risk. The key is to make smart investments and never risk money you can’t afford to lose. Some relatively safe investment options include mutual funds and property. Also make sure you opt for employers that offer a good retirement plan, like the 401(k) plan. Check out your insurance policies. It could be that you’re paying more than you need to and could save money by switching companies. Try to buy non-perishable items in bulk and check out which days certain supermarkets or restaurants have discounts on. Try to plan for a monthly shop, rather than regular purchases, as this will force you to stick to a meal plan and avoid impulse-buys. 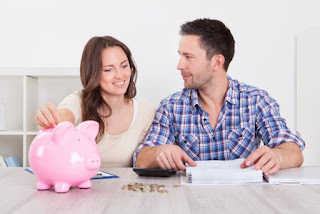 Following these tips and investing considerable thought into planning your finances will go a long way towards making the most of your money and leading a comfortable life.